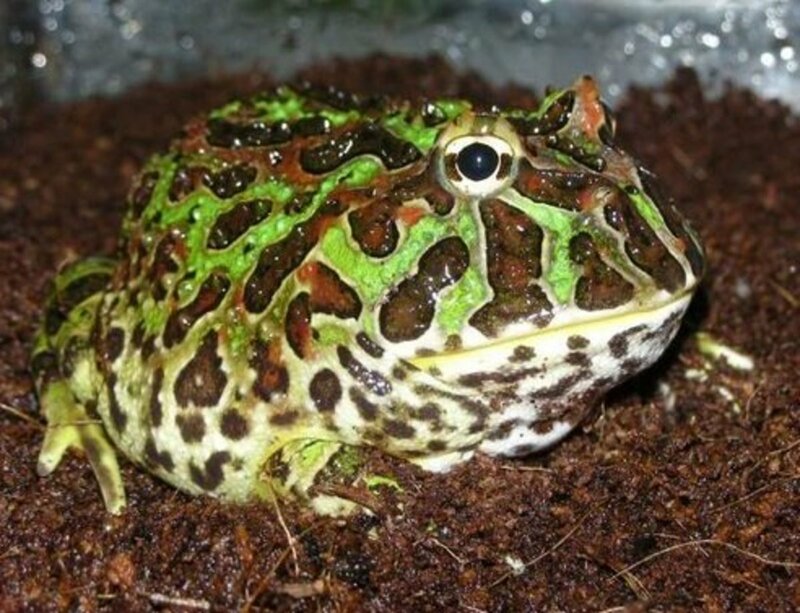 Is It Legal To Keep Wild Toads As Pets? If you wish to keep a wild toad for a pet, you have to find out first whether you can actually do so legally. Since laws vary from country to country, and state to state in the USA it is impossible to give a simple answer here. However, finding toads that can legally be taken from the wild and kept as pets, should not be too difficult wherever you live. Even Massachusetts, a state that has very strict laws about keeping of wild animals, allows American toads, and Fowler's toads to be kept as pets, as long as you limit yourself to two individuals. Before you decide to keep a toad you found in your backyard, or on a camping trip, you must make sure that you identify its species. For example, many states, outlaw the keeping of the Colorado River toad, b alvinius, because of the psychoactive substances these toads synthesise. 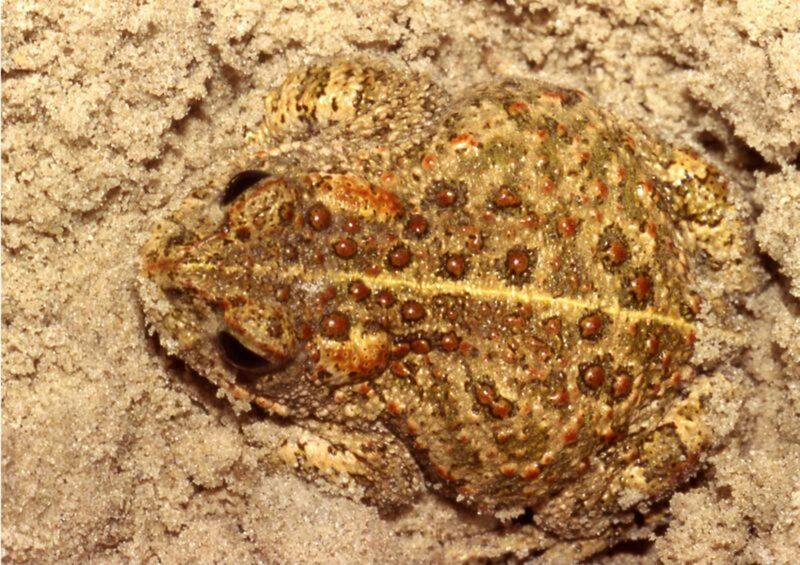 In the UK the common toad Bufo buff, is fine for a pet but the natterjack toad, Epidalea calamita, are strictly protected. However, they are now so rare, it is highly unlikely that you will find one in your garden. Where to Find Wild Toads? Although they are amphibians, toads are less closely associated with bodies of water than frogs, they will often only go near water to breed. Hence it is quite usual to find wild toads in your backyard or in a park. The most likely animal you will find is the common American toad, Bufo americanus, if you are in the US, or the common toad, Bufo buff, if you are in Europe. The best times to look for toads is in the spring, after heavy rains, although you can probably locate them in the summer and fall. Toads hibernate in winter so it is unlikely that you will come across one when it gets really cold and the ground freezes. 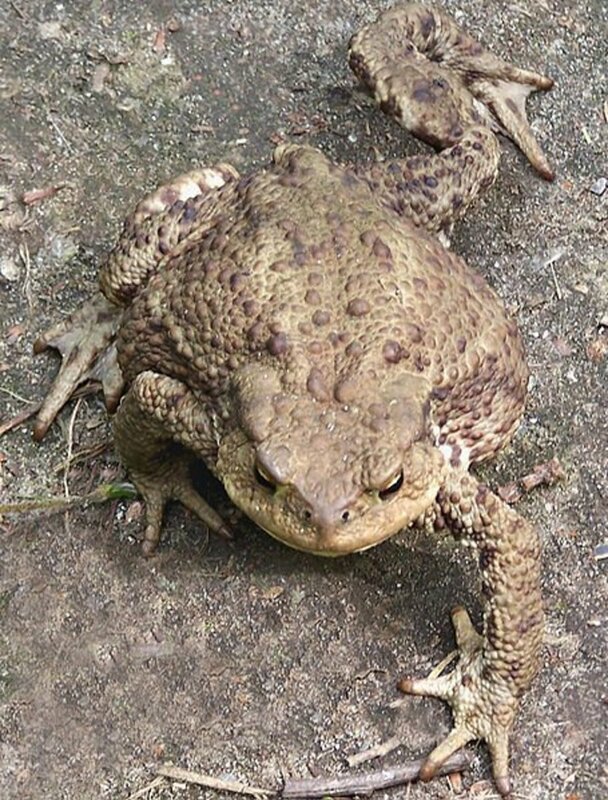 Murphy's law dictates that, even if you were tripping over toads in your backyard on a daily basis, now that you are actually looking for one you will not be able to find one. In common with most amphibians they like to hide, and you might need to look under some stones, or in the midst of leaf litter to locate one. However, I am sure that with a little bit of perseverance you will be able to locate one. It is actually better to find a juvenile, which is more likely to adapt quickly to a life in captivity than an adult toad. 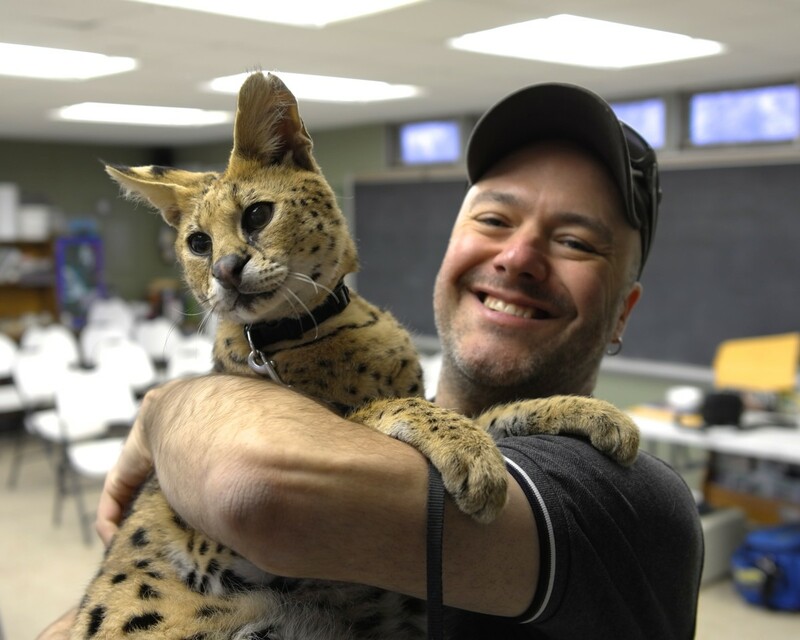 Does taking wild animals for pets appeal to you? Most toads are quite sedentary, spending a lot of their times burrowed in soil or hiding under a stone and do not need a particularly big enclosure to live in. They need to be kept in a terrarium that will keep their surroundings moist but allow good ventilation, hence a small fish tank is an acceptable enclosure but it must be fitted with a screen top. To prevent the toad from escaping make sure the top is tightly fitted to the tank. If you are keeping one of the common Bufo toads than a tank 24"x12"x12" should be sufficient for one individual or a pair. 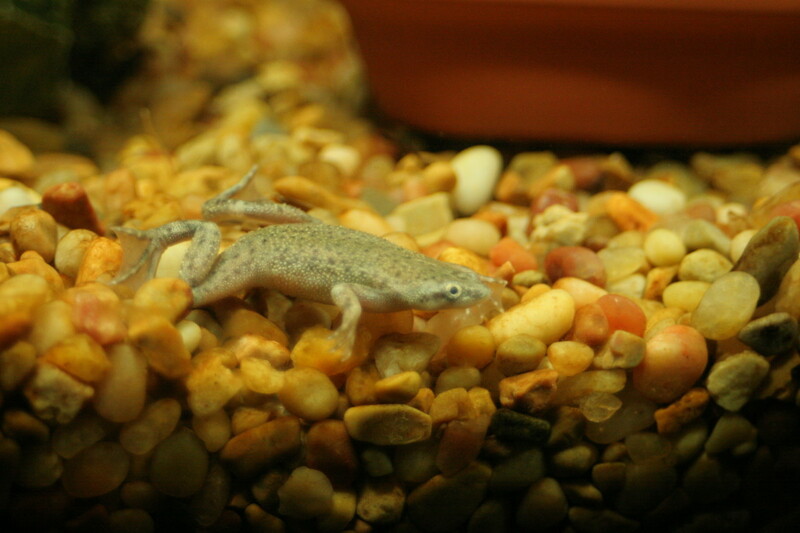 Most of the furnishings required for keeping toads are similar to the equipment for small-to-medium terrestrial frogs. Toads like to burrow in soil or leaf litter, hence it is best to use something they can dig in for substrate. There is quite a lot of controversy about using the soil from the location you took the toad from, as opposed to buying specialised amphibian substrates, such as coconut-husk based eco earth etc. 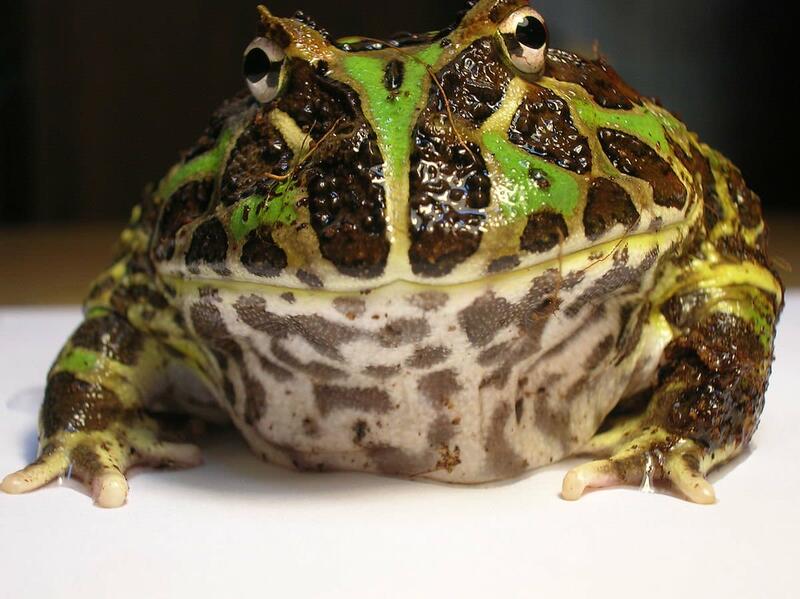 The danger with collecting furnishings from outside to use in amphibian enclosures is that they may be contaminated with pesticides or fertilisers which could harm your pets. However, if your backyard or park has a thriving toad population, chances are the soil there is safe. It is always safest to buy commercially produced substrates, however, and they are not expensive. Avoid putting gravel or other substrates which your toad might swallow while hunting and which could cause intestinal impaction. 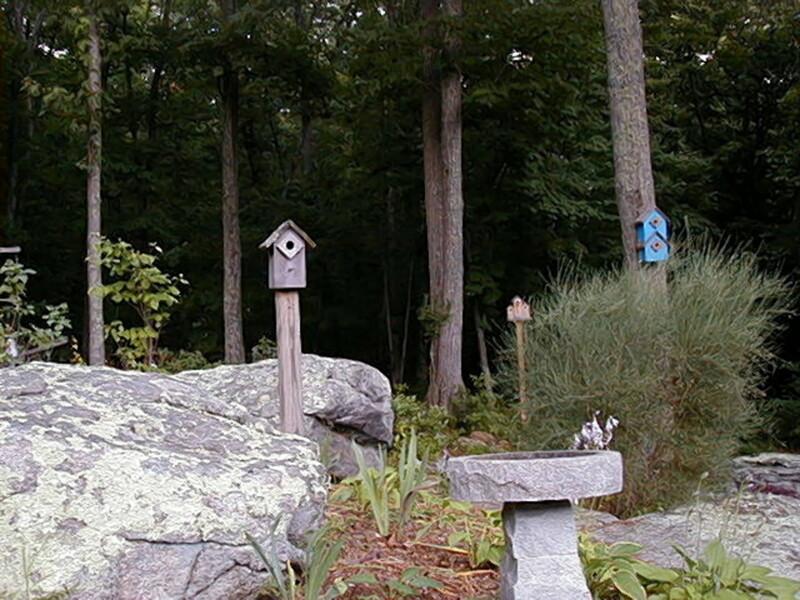 You should provide your toad with hiding places in the form of pieces of bark, branches or rocks. You could either collect these from the locale where you caught your toad, or buy some of the commercially produced reptile hides and caves. All amphibians must have constant access to fresh water. Like frogs, toads do not actually drink but absorb water through their skins. All that they require is a shallow bowl, they are not good swimmers. Make sure they can easily get into and out of the bowl. The water you use must be changed daily to prevent bacterial contamination which would cause your pet to become ill, and must be dechlorinated, tap water could poison them. Either leave the water standing for 24 hours, preferable with an airstone bubbling through it, or use a water dechlorinator for aquarium fish. 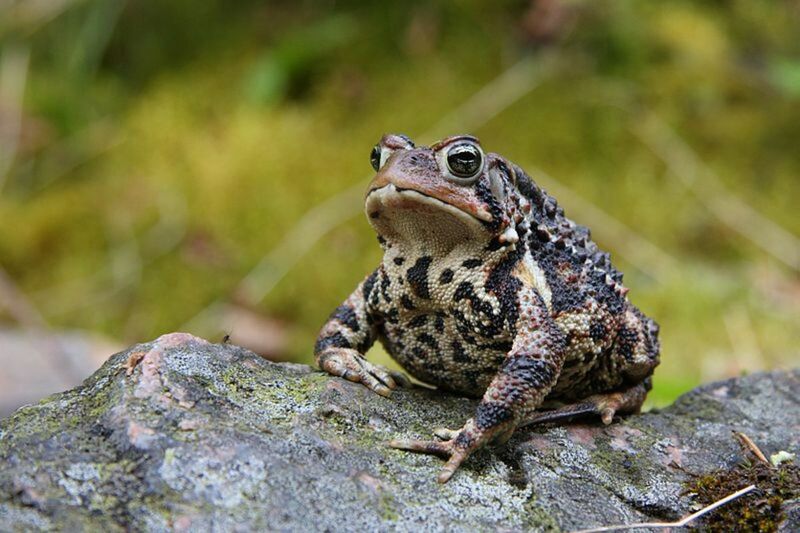 Most true toads native to Europe and the United States prefer cooler temperatures. They will generally spend their days burrowed in soil or leaf litter and emerge at night when the temperatures are cooler. They usually do well with a daytime temperature between 60-70F. In general you will not need any special heating or lighting equipment for your enclosure, unless you are keeping it in an unheated room in winter where the temperatures fall very low. Because of their warty skins toads need lower ambient humidity than frogs, and will get enough moisture from soaking in their water bowls at nights. However, if your house is particular dry, for example if you use central heating in winter, you might want to increase the humidity in the enclosure by spraying it with clean, dechlorinated water a few times a week. Toads are ravenous insectivores and will readily consume any invertebrate that fits into their mouths. Although there might be a temptation to collect slugs and worms from outside to feed your pet amphibian, there is always a danger of introducing diseases or poisoning the toad with pesticides. In the end it might be more convenient to obtain crickets and other feeder insects bred specifically for amphibian and reptile keepers. In general the same principles apply as when feeding frogs. Crickets will probably form the bulk of your toads diet and should be gut loaded on carrots and other fruits and vegetables before putting them into the terrarium. You should also use a calcium and vitamin D supplement to ensure all your toad's mineral needs are met. My husband and I found 2 toads while camping and decided to care for them until we left, but decided to bring them home. We set up a terrarium in our home, and an additional enclosure outside with an umbrella covering the top to keep them safe from predators. We named them Ben and Jerry, as they are both males. We have had them for 3 months now, and they love climbing on us in the evening while we watch tv. I put them in a separate container for feeding, and they both seem to get excited when they see the container come out. 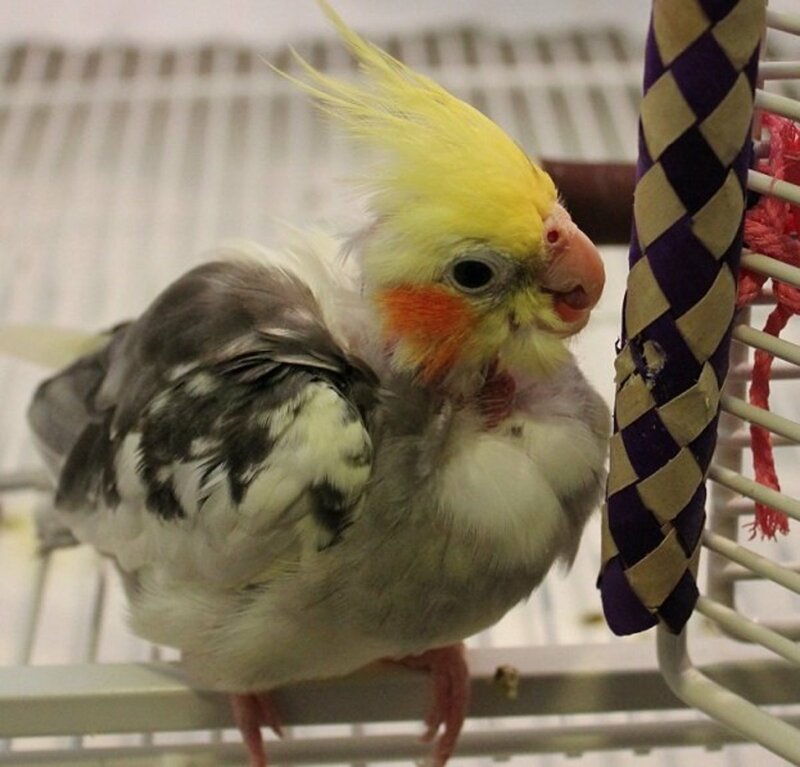 They both chirp and seem very contented to be with us. I play videos of toads in a pond for them, and they both sing along with the video, puffing out their throats. I hope I can find a female in the spring for them, but at 70 years old, I never thought that I could get so attached to these darling little creatures. My advise to anyone considering keeping them as pets......read all you can about food, housing, handling, then just do it! You will fall for them as we did! I rescued a toad in my backyard and it seems to be either deformed in his back legs or has an injury because he does not use them well, she/he more or less drags the backlegs. I am a commited rescuer so it will stay with me until.. well if she is injured and heals then I will release her, if not she is stuck with me for life. All your info will help me get her tank right. Not convinced that your advice about dechlorinated water is correct. Every year we collect several hundred frog and toad tadpoles that are reared (then released) in chlorinated tap water and are more than happy - our death rate is under 2%. We keep them until frogs and then release. We have been keeping a couple of toads long term - again only on chlorinated water and never a problem. I think that common sense says that chlorinated water should be a problem - and hence the myth - but how many have done the test as we have? Found a toad in our unheated garage in Connecticut today. 6 inches of snow outside and it has been cold. The temp in garage has not been over 50 degrees F. Put water in shallow container but how can this toad have made it so long? Am I to provide during the winter? Not sure if they hibernate in the winter while in captivity. They take meal worms from my hand. So my question is do they hibernate inside? 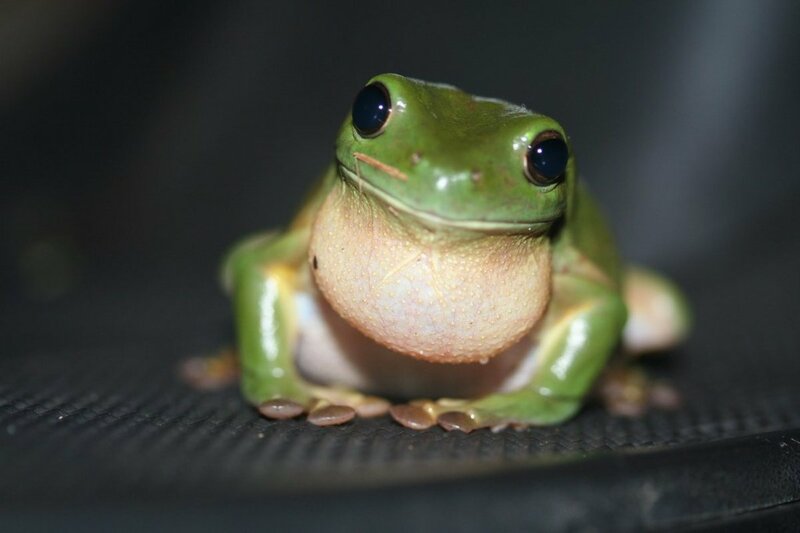 That's a fantastic story DJ, I really feel that toads are underrated as pets. Voting up! I used to keep Common Toads as a boy and into my teens and also they used to breed in a small pond in my parents' back garden. I love toads and miss not seeing any here on Tenerife though there are two species of frog, the Iberian Water Frog (Rana perezii) and the Stripeless Tree Frog (Hyla meriodonalis). Hi Liza, I have to admit the common toad's charms are not immediately obvious, although they do have beautiful eyes. Personally I prefer captive bred, exotic frogs and toads from places like the Amazon rain forest, to the animals found in the wild. However people do seem to want to collect and keep toads and other amphibians, but a lot of them have no ideas about their requirements so the poor toads croak, in the sad, slangy way. @bdegiulio, thanks! Find out from your sister what frogs she keeps. I now have a giant waxy monkey tree frog, Zoidberg, who I'm very proud of since it is still a rare frog to keep in captivity. A few years ago I kept Amazon milk frogs, but I traded them for geckos. Very interesting. I remember as a kid keeping frogs and toads. My sister has some exotic frogs that she keeps. Very interesting Hub. Great job. Thank you both for your comments. When I was a kid I loved the idea of keeping salamanders and frogs I found in the wild at home, but my parents never allowed it. All I was permitted to keep were caterpillars! Good advice! A lot of people, especially kids, like to take animals they find in the wilderness, like frogs, and bring them home as pets without even knowing what they need to survive. We get a few parents that come into our pet store asking about things like this because of it. A friend actually brought salamanders home from a hike and they ended up dying due to lack of proper care. Thanks for sharing this information! Some interesting information that I did not know about toads. thank you for a wonderfully written piece. Rated up, interesting and useful.